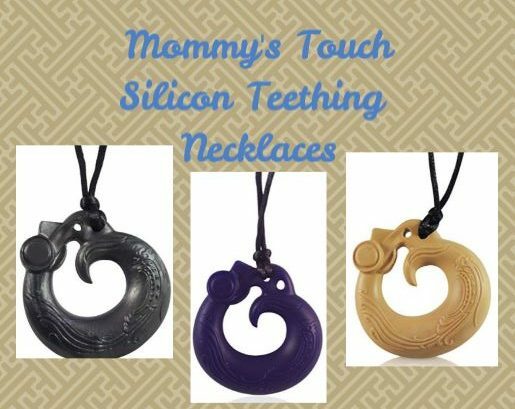 Mommy’s Touch Silicone Teething Necklace is an absolutely adorable teether than will not only keep your little one happy, they won’t be eating your jewelry! If you wear necklaces and have ever held a baby with teeth coming in, you know the adventures of being chewed on! Teething is such torture, the poor little ones will chew on everything and what better than Mommy (or Auntie, Grandma, whomever)! With these necklaces, they can have their own to chew on! Teething necklaces are the perfect answer and these from Mommy’s Touch do not disappoint! I love these little necklaces! They are BPA Free, Non-Toxic and free of Phthalates! So, it’s totally safe for baby! In addition, babies will increase their hand eye coordination reaching to chew on the necklace! Teeth soothed AND skill improved. I’m down! If you haven’t used a teething necklace with your little one, I highly recommend it. Not only does it ensure they are chewing on something that is safe it also ensures that they are exposed to textures! Some of the necklaces I’ve seen are far from fashionable, but these are definitely better. I love that they have the designs on them as it gives them something to rub against their gums! I’m definitely a fan of the design as well as the fact that they are dishwasher safe! It makes me think of some of the fashion necklaces I’ve seen lately. 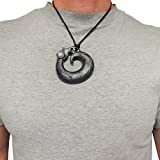 In an interesting turn, the display photos are actually of an adult wearing one and I really thought it kind of looked like an odd piece of jewelry that people would wear. Haha. It’s certainly one I could see the kiddos digging in to! While I never would have thought of it, the description states that they are also great for kids with sensory needs! 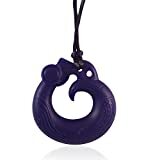 Autism, oral fixations, thumb sucking, ADHD, and fidgeting children can benefit from chewing these silicone necklaces! Although they do advise that they are not made for aggressive chewers. They are great for oral motor therapy! You Can See More Great Baby Products in Our Baby Gift Guide!